Last night after having a Dark and Stormy cocktail, (a delectable blend of ginger beer and rum), I decided it was high time to use my ginger bug and make some soda from it. Here’s the nicely fermented ginger bug; a combo of sugar, water and ginger. The first step is to chop up some ginger and put this in a pot with water and a bunch of sugar. 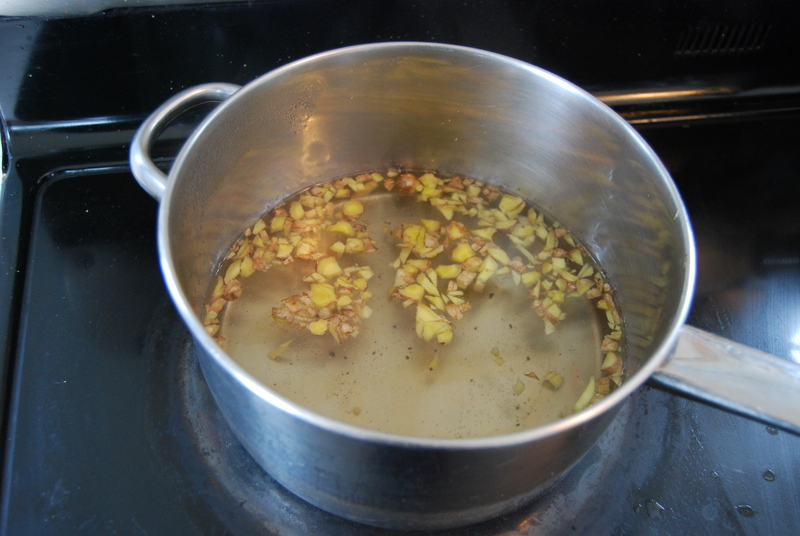 Next simmer this for about 20 minutes and let cool. Add sugar until the syrup is quite sweet. 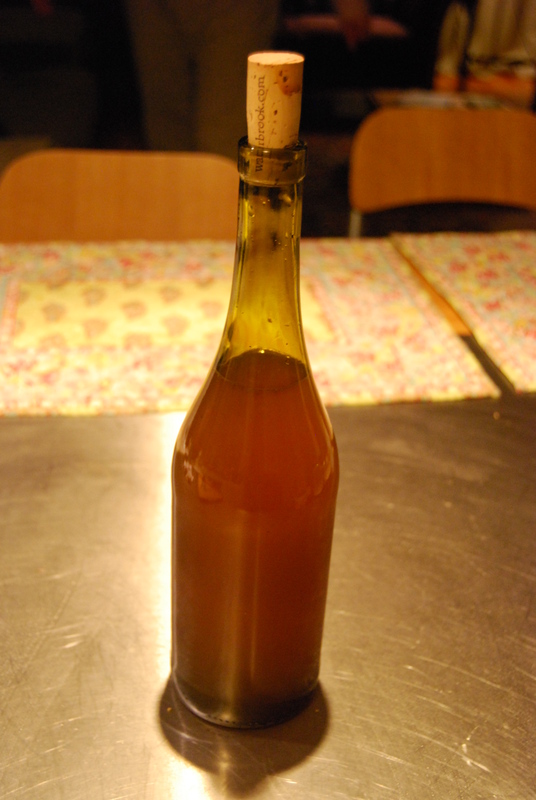 Pour the sugar and ginger syrup through a sieve into a clean bottle. A funnel makes the pouring easier. 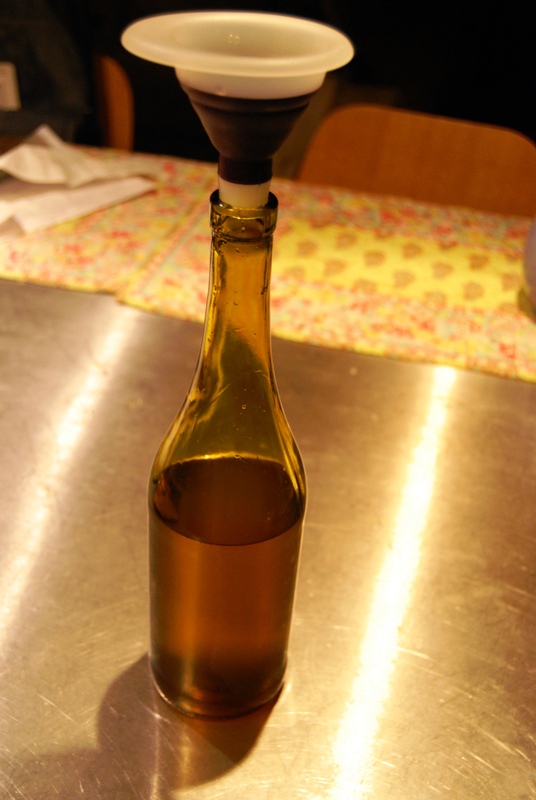 Add some of the liquid from your bug into the bottle then lightly cork it. Now let it sit on your counter for a couple of days until it begins to bubble. 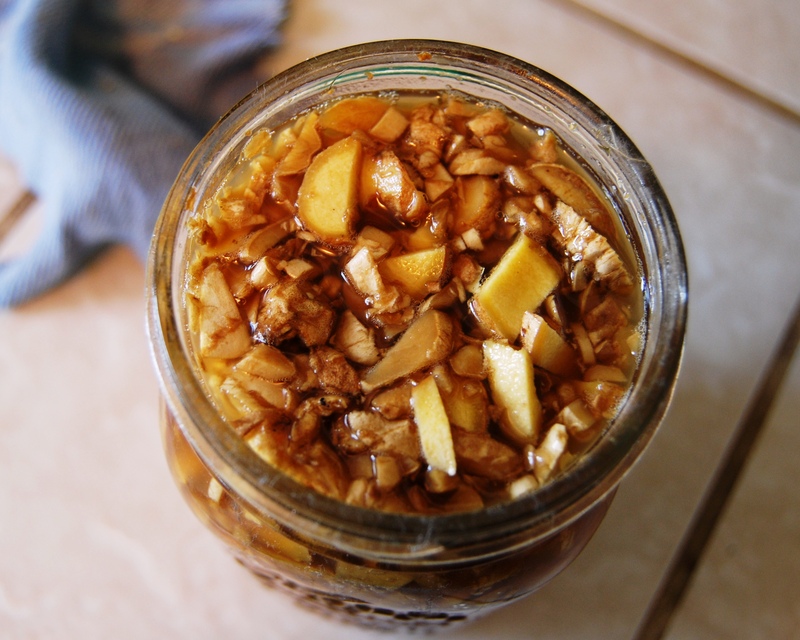 You can adjust the sweetness by the fermentation time; longer will result in a less sweet beverage. 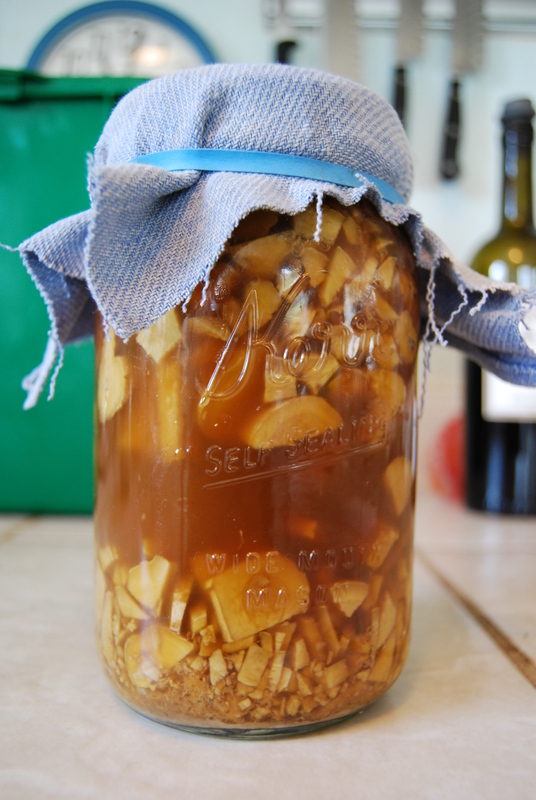 Once you’ve reached the desired flavor put it in the fridge to slow the fermentation. 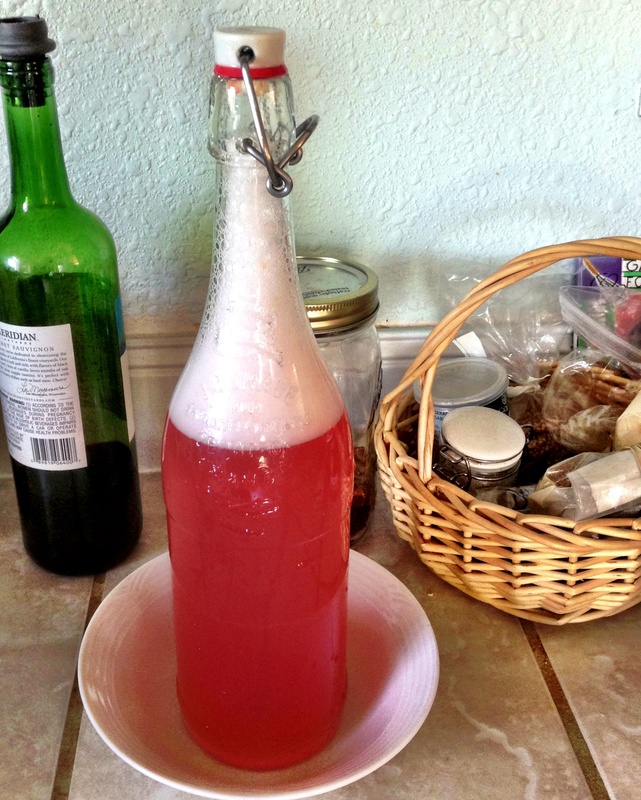 You can make all sorts of flavors; this one is rhubarb.